My friends Lulu and Ludwig from Germany are in town. They actually live in Shenzhen now and came to Beijing for a short sight seeing and leisure trip. 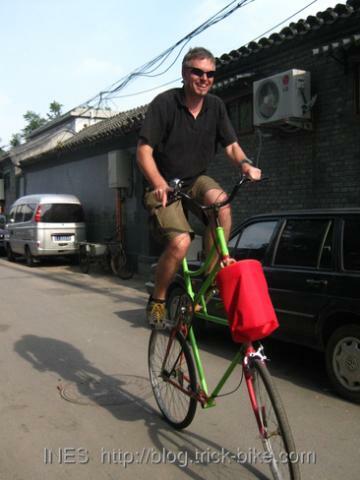 We met for a late lunch and then they tried out Fede’s tall-bike. Ludwig had some issues getting up onto it but he did manage to smile once he was on it. Lulu also took her try on the tall-bike after seeing another girl almost crash while trying to ride it. 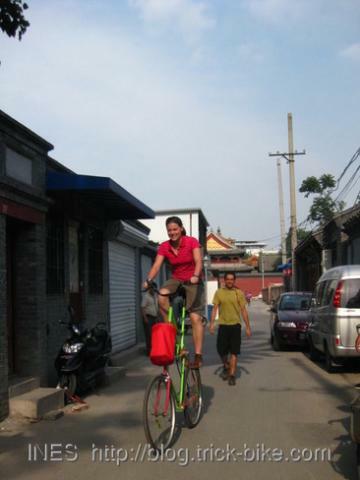 Lulu even was able to do a U-turn in the narrow hutong. 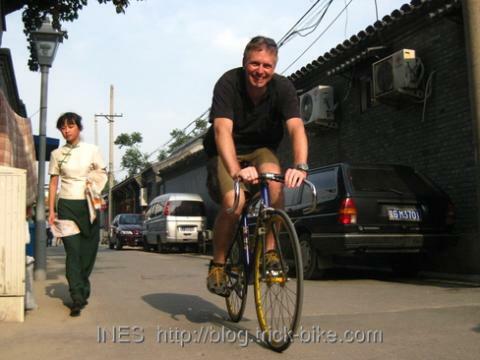 But Ludwig did seem more happy on a lower bike so him and Lulu took regular bikes to tour around the hutong alleys. In the evening I went to the Ritan park for some rock climbing. It was quite crowded in the beginning and some people taking ages to get up a climbing route. I do not like the new look of the wall with all the advertisements and grey color. 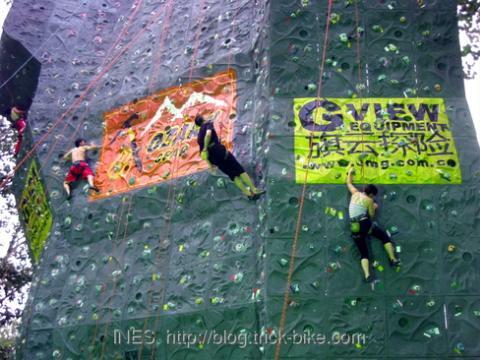 But it is still great for climbing. 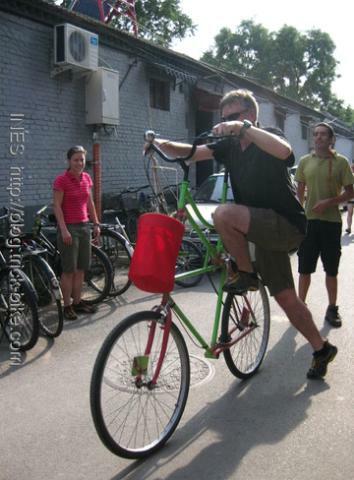 This entry was posted on Sonntag, Juli 26th, 2009 at 20:40 and is filed under Climbing, Fixed Gear. You can follow any responses to this entry through the RSS 2.0 feed. Both comments and pings are currently closed.